The formula was amazing, opaque on two coats but I noticed it took a long time to dry – I ended up using Super Chic Lacquer Liquid Marvel Top Coat for a rapid dry finish and that’s what saved this manicure. I loved it without a top coat but the dry time was too much – after Zoya Chita I am pretty spoiled with fast drying textured Pixie Dusts so I was a little disappointed in the length of time it took to dry. I LOVE the sparkle in this polish though and it really comes to life in sunlight! One of the biggest negatives regarding this polish is that it stains BUT I love the colour so much I’ll bare it and wear a base coat the next time I reach for it. 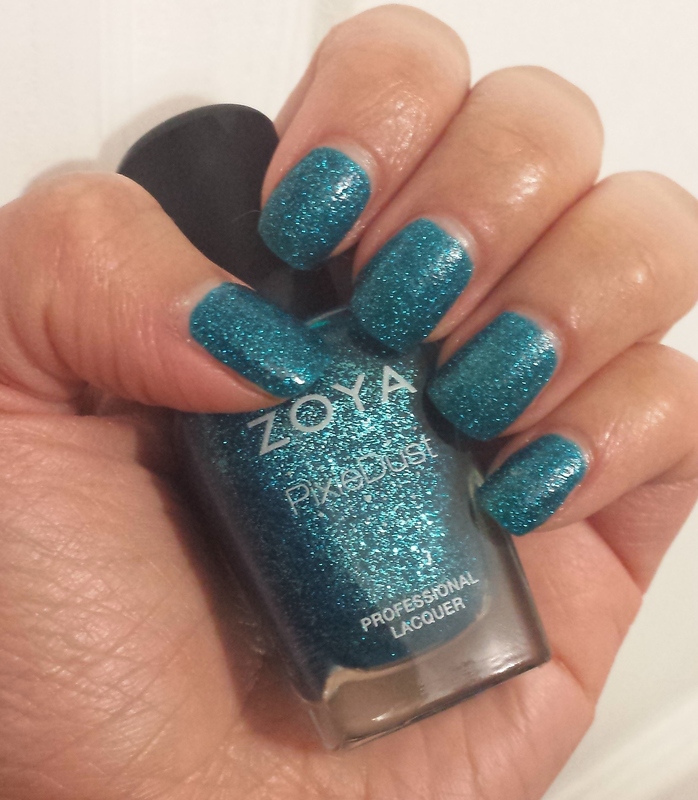 Lastly, Zoya is unfortunately discontinuing their Pixie Dust line – once they’re all sold out they’re GONE forever! 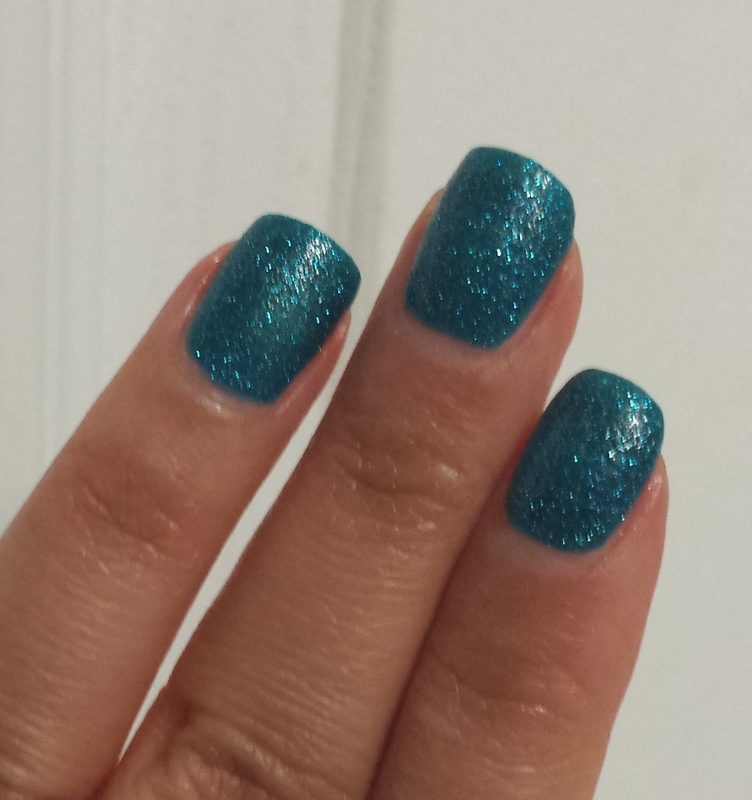 And while the textured trend is some what over I still enjoy wearing it as a change from the regular polish formulas. Do you own ZOYA ‘Liberty’ ? What are your thoughts on this polish?